France is known for its gastronomic delights – and any traveller to the home of haute cuisine should try as many as possible . Luckily, we offer five of the best luxury foodie experiences around , so you can sample everything from oysters to mustard. The Languedoc region is known for its seafood – and a fast favourite are the oysters that are harvested here. Not only will our French barge cruise give you ample opportunity to sample this delicacy in some of the local restaurants (we’ll give you a hint: they’re best enjoyed with shallot vinegar, Tabasco or lemon juice), you’ll also have the chance to visit the famous farms where the shellfish are bred and gathered. A French barge cruise on the Canal du Midi isn’t complete without a tour of l’Oulibo, an olive cooperative complete with a grove, a mill and a shop that sells artisanal products all made with or related to olives. We offer an excursion that will take you here, and while you’re visiting you will have a chance to sample everything from the fruit itself to the various oils made from it. What’s more romantic than an al fresco meal? One that’s candlelit and meanders through one of Europe’s oldest river tunnels, of course. Our French barge cruise will give you and your sweetheart a chance to partake in this experience – just imagine how exciting and intimate it will feel to dine on world-class culinary masterpieces as you watch ambient shadows cast from the candles dance across the archaic walls. 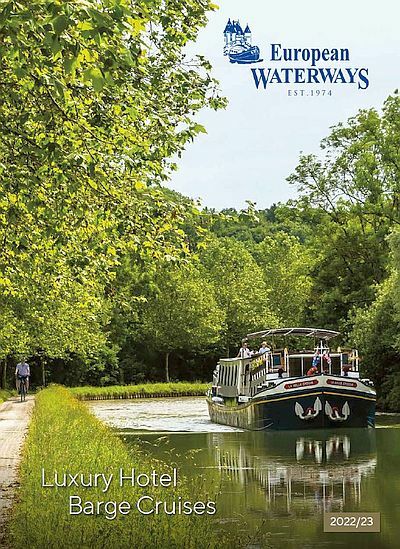 One of our favourite parts of the Southern Burgundy cruise aboard Hotel Barge L’Impressionniste is a delicious lunch at Le Montrachet, located deep in the heart of the vineyards of Puligny and Chassagne Montrachet. For wine lovers, this excursion is a must. Dijon is a delicious addition to any French barge cruise. Join us as we head to its historic market and discover the locally-prepared foods, from bread and cheese to wine and of course, mustard. The latter condiment is perhaps the city’s most well-known claim to fame. After all, it has been produced here for hundreds of years and yields some of the best variations in the country.